Good Evening. I am slowly recovering from post Brexit meltdown followed by depression. 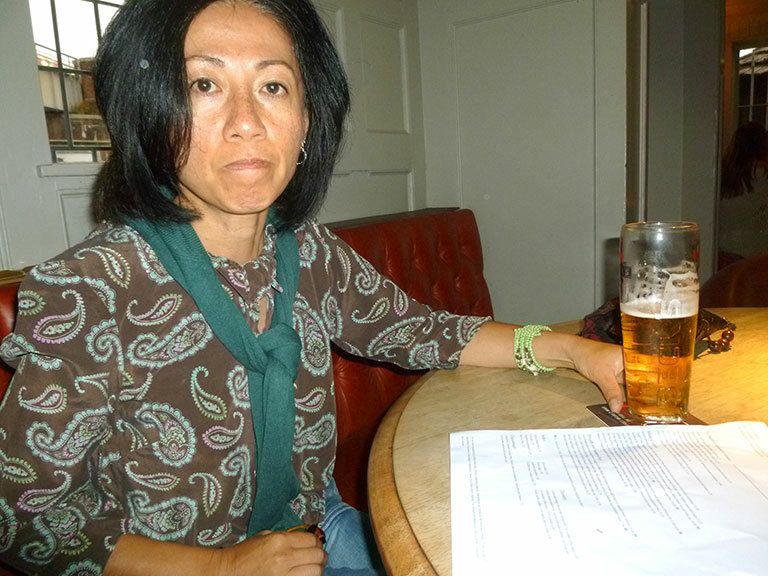 I have been to The Old White Lion, exactly 11 months ago, 15 August 2015. What 11 months make difference, I never imagined that the Brexit was coming. 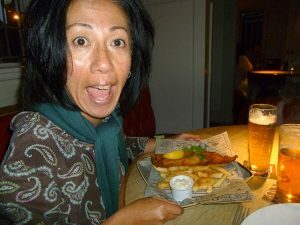 Since 23 June, I have lost the direction of my love to Fish and Chips. But hey, fish and chips brought me a personal triumph just before 23 June, surely it will cheer me up. Yes, it brought a joy on my face!!! 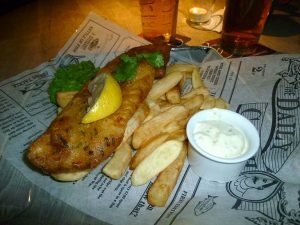 Last year, it was “sustainably caught hake in a cider batter with pea puree, tartare & chip shop chips £11.50”. And! I am paying 75p more this year. This is whopping 7% up, well above the UK inflation rate of 0.5% (year on year in June 2016). Is this because; 1) fish is upgraded from hake to cod 2) fish was previously just “sustainably caught” but now is “line caught” 3)” chip shops chips” is upgraded to just “chips”? I can also see suspicious adding feature in the batter! Not a good sign. Fish 4/10 : It was far too greasy. What you need are a little higher oil temperature and a minute more on drain before serving. Skin off from fish, obviously less flavour (may offset the hake->cod upgraded effect). Good thing was I could not taste suspicious addition to the batter (so what is the point?). Worst feature was TOO SMALL FISH!!!! Chips 4/10 : nothing special frozen chips. I rather have “chips shop chips”. Pea puree 4/10 : I had to slash the rating due to discrepancy in menu description. This is not puree, it is “roughly crushed” pea. Actually, taste was nice. Overall it was a disappointing “everything is mediocre” dish. I am not sure this can justify 7% inflation-busting price hike (despite various speculation in rationale of price hike). Most importantly, my dear old British friend, Fish and Chips, on this occasion, was not good enough to shake off my post Brexit depression. 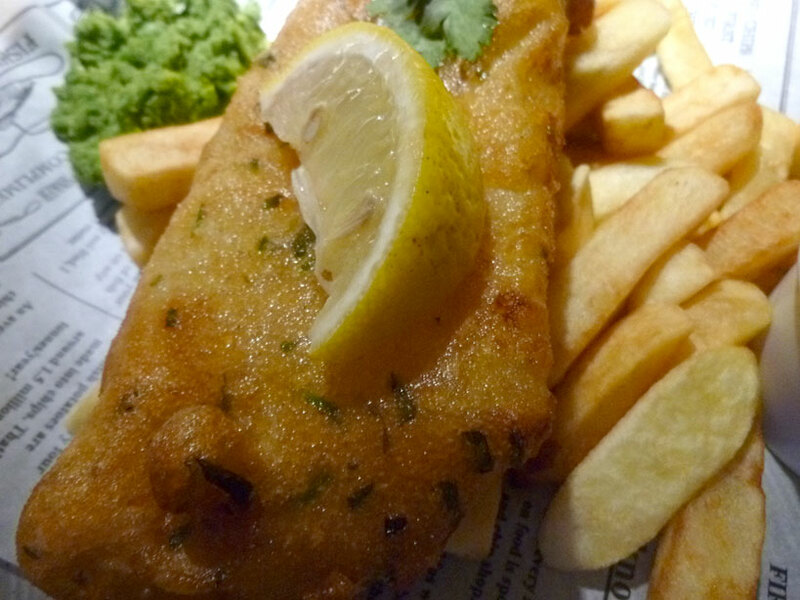 However, I will, I will continue my fish and chips journey. Good night!